The Quidditch Premier League selected AJ Bell Stadium, situated in Salford, Greater Manchester, for its high quality facilities, multiple grass pitches, and ease of access for athletes travelling from Europe. 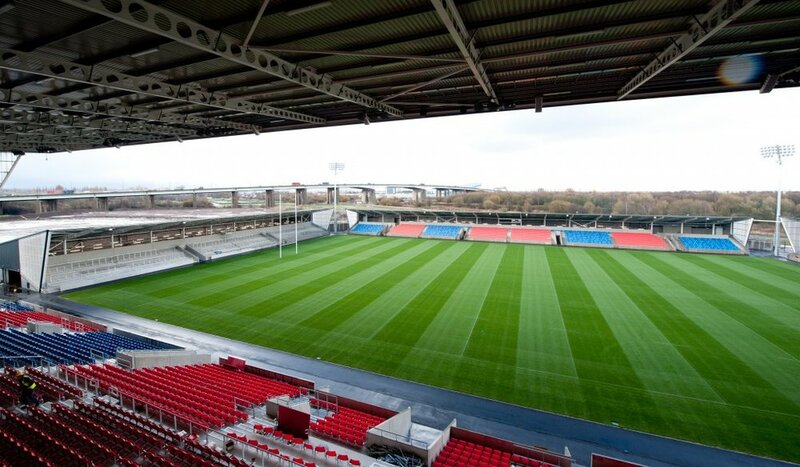 The stadium, boasting a 20-000 capacity, is home to rugby union Premiership team the Sale Sharks, and rugby league European Super League team the Salford Red Devils, and will offer the event an enormously prestigious atmosphere. The stadium is located just outside the centre of Manchester, and is only a 15 minute drive from Manchester Airport. This ease of international access is important, as this is the first year the Quidditch Premier League has expanded abroad. In 2018, it was announced that five new teams will be added to the league, based in France, Belgium, the Netherlands, and Germany, as well as a further two new teams in London and the north of England. This will be the first time all the teams will compete against each other, as the European additions share the international stage with their UK-based peers. At last year’s Championship, the London Monarchs won against the Southeast Knights to lift the trophy, with the West Midlands Revolution coming third. The Division 2 matches on the Saturday will take place on the external pitches at the stadium complex, while the Division 1 matches on the Sunday will be played on the grass pitch inside the stadium itself.